This is another in my series on Genre Writing Tips. I hadn’t really thought about cozy mysteries as I worked through from Children’s Books to Steampunk. A member of my critique group reminded me because that’s what she writes. Cozy mysteries, in the style of Murder She Wrote–tricky but non-gory plots with eminently cheerful characters that you’d like for a best friend. While most novels require growth in the characters, that’s not so important in cozy mysteries. Often, the mystery has thrown our beloved main character out of sorts and the goal is to return her/him to normal by solving the mystery. The need that s/he experience personal growth is secondary. This entry was posted in Jacqui Murray and tagged genres, mysteries, writing. Bookmark the permalink. 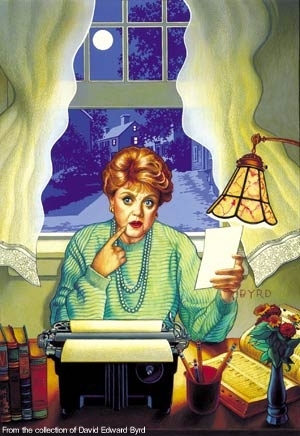 I much prefer cozy mysteries for all the reason you’ve listed in this post, Jacqui, at least to read – To write? I don’t have the mystery writer’s gene in me, not any form. And I don’t have the ‘cozy’ gene. Mine–not as wild as Lee’s but much more than Angela Lansbury. Jacqui, I should have known that you had written this post before I got to the end of it. It has your style written all over it. I have a story idea shelved right now that would be a good cozy mystery. This tips have helped already. I need to change my sidekick for it a little. Good news! I have a friend in my critique group who writes cozy mysteries. I’m learning a lot from reading her submittals.